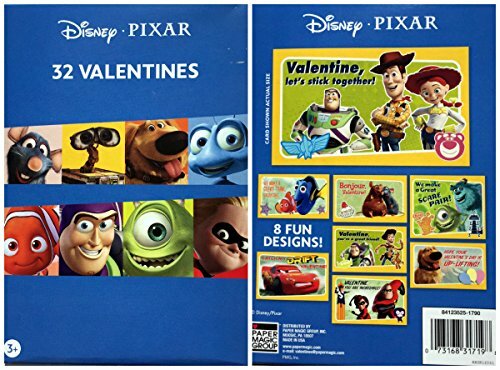 Disney Pixar 32 Fold and Seal Valentines Exchange Cards. Featuring characters from several hit animated movies - The Incredibles, Toy Story, Dory, Monsters Inc. and more. Made by Paper Magic. Intended for ages 3 and up.